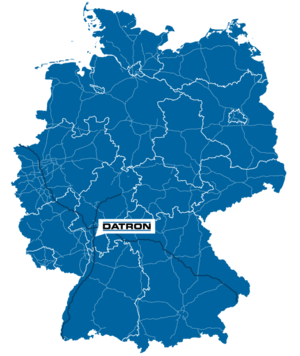 DATRON's headquarters are embedded in the Rhein-Main area, easy to reach in central Germany. 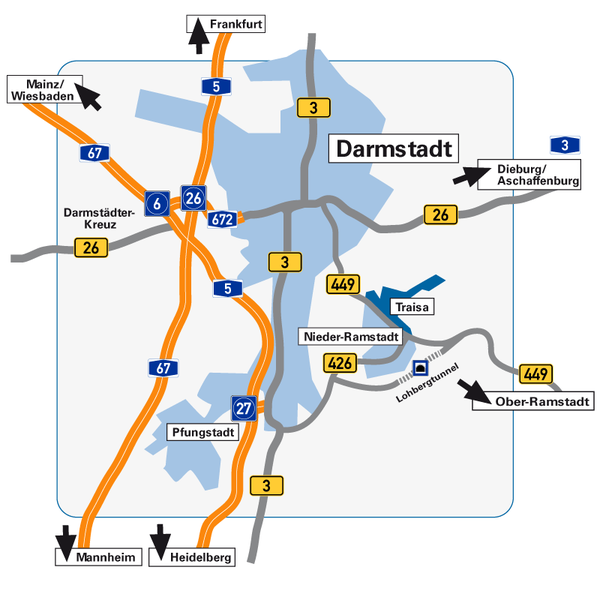 Surrounding cities, such as Darmstadt, Frankfurt, Heidelberg, Mainz and Wiesbaden, can be reached within a short time by car or via public transportation. 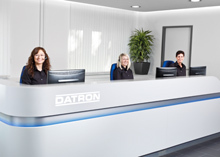 By car, you can reach us by taking the A5 ( northbound /southbound) and the A3. 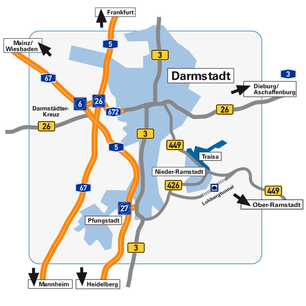 We are 10 minutes away from the main train station in Darmstadt. If you are flying to Frankfurt airport, we will be happy to organise a shuttle service for you, which will take you to us in only 25 minutes. 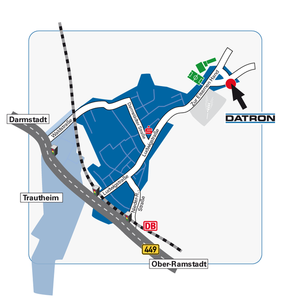 All roads lead to "DATRON"
coming via A5 or A67 take exit "Darmstadt-Stadtmitte" at the "Darmstädter Kreuz"
first possibility turn left and make a right after the railway bridge into "Haardring"
follow the road, passing an "ARAL"-gas-station to your left, drive straight towards "Stadion"
(don't turn right!) until road ends into junction; make a right into "Klappacher Straße"
passing the police department (to your right) turn right on the next big intersection into B449, direction "Ober-Ramstadt/Höchst (Odenwald)"
you've reached DATRON after approx. 150m! in Darmstadt, turn left, direction "Lichtwiese"/ "Botanischer Garten" into "Heinrichstraße"